The CEO of My Ceviche, Roger Duarte grew up in Monterrey, Mexico, before moving to Miami. With a business-oriented mindset, Roger studied at Suffolk University in Boston, Mass., and at ITESM in Mexico. Upon graduation, Roger gained significant financial experience at Mission Capital Group and at PAF Securities, strongly focusing on on mergers & acquisitions, investment banking, and strategic planning. Overcome by his entrepreneurial spirit, Roger made the decision to leave the finance world and opened My Ceviche‘s sister company, George Stone Crab, back in 2009. Since its inception, George Stone Crab has become the top home delivery service of stone crabs nationally, as well as the top distributor of Florida stone crabs outside of the United States. With an overwhelming desire to move forward with other scalable and marketable concepts, Roger recruited chef Sam Gorenstein, who he met while the latter was chef de cuisine at BLT Steak in South Beach. Both Roger and Sam instantly recognized the potential for a great business relationship, and so My Ceviche was born. Now, with a location in Miami’s iconic South Beach and in the downtown Miami/Brickell area, My Ceviche is set to continue to expand throughout South Florida with plans for further expansion in several major cities. Forbes recognized Roger as a top entrepreneur in the 2012 edition of its annual “30 Under 30” list, and Bloomberg’s Businessweek featured Roger as the “Stone Crab King” in 2013. In addition, Poder magazine profiled Roger in its “20 Under 40 Latinos Going Places” feature in 2013. 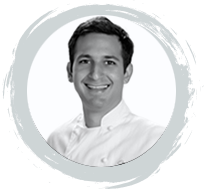 Sam Gorenstein has been highly praised during his career as a chef. 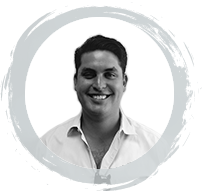 Born in Barranquilla, Colombia, Sam moved to Miami and eventually enrolled in business school at FIU. He quickly recognized that his passion was in the kitchen, and made the decision to take the leap into the culinary world by starting at Johnson & Wales University. With a humble beginning at Les Halles in Coral Gables, Fla., when he was just a teenager, Sam received the opportunity to move to New York, where he soon made his way into world-renowned chef Laurent Tourondel’s kitchen at Union Pacific. Learning everything he could from such an esteemed chef, Sam honed his skills in the kitchen, and Tourondel granted Sam the opportunity to make the move to BLT Fish in New York City. While at BLT Fish, Sam worked at every station in the kitchen, earning titles from entremetier to poissonier. The latter is what fielded his passion for seafood. Shortly after opening, BLT Fish received a three-star review from The New York Times and was granted a Michelin star. Sam moved back to Miami when other opportunities arose and received even further experience in well-known kitchens, including those at Michael’s Genuine Food & Drink. Chef Tourondel contacted Sam once more and asked if Sam would open BLT Steak at The Betsy Hotel in Miami Beach. Here is where Sam received the greatest experience as chef de cuisine as he managed a staff of over 80 people. The Miami Herald gave BLT Steak three-and-a-half stars while Sam was at the helm. Sam’s talent in the kitchen has not gone unnoticed. Forbes named Sam as a top chef in the 2012 edition of its annual “30 Under 30” list. In addition, the James Beard Foundation recognized Sam’s incomparable culinary expertise, twice nominating him as a Rising Star. A native Miamian, Samantha studied Food & Beverage Management at Johnson & Wales University. Her passion for food moved her up to Tampa, Fla., where she worked for Darden – a family of restaurants including Olive Garden, Seasons 52, and Yard House – for 10 years, most recently as the Hiring and Training Manager. She worked on openings of all units and was in charge of the entire west coast of Fla. Looking for a change and with strong knowledge of operations in her back pocket, she moved to Atlanta, Ga., where she worked for RTI, a back-office software company. 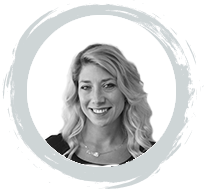 Tired of stuffy corporate environments, Samantha joined our growing team as Human Resources Manager at the end of 2014. Though the oldest person in the My Ceviche office (everyone likes to tease her), Samantha was excited to work with our youthful and fun company. In her spare time, Samantha completes DIY projects, like home renovation, and spends times baking and masterfully decorating cakes! 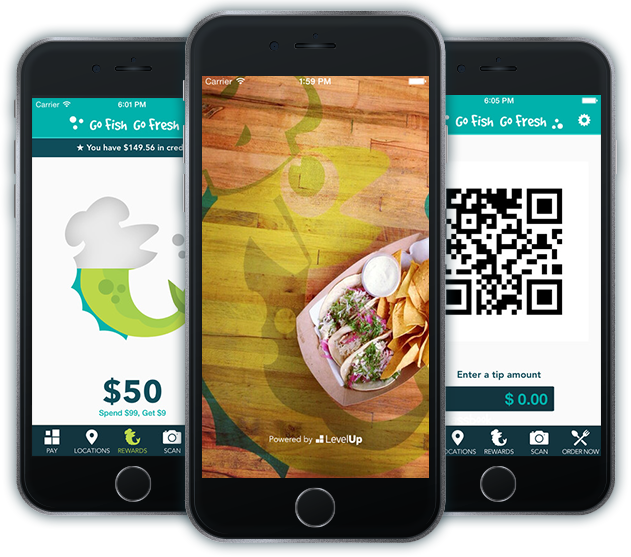 The My Ceviche app is here! rewards. For every $99 you spend, you'll get $9! Plus earn rewards on your birthday! Enter your phone number and select your device to send the app download link to your phone. © 2017 myceviche. All rights reserved.